UNESCO Office in Almaty took part in a series of events in occasion of the fourth annual World Radio Day with focus on young women and men. According to UNESCO Director-General Ms. Irina Bokova - "Young women and men are not sufficiently represented in the media -- an exclusion that often reflects a wider social, economic and democratic exclusion." In this regard, UNESCO Almaty Office organized series of video interviews with executives and editors of local radio broadcasters to define stereotypes concerning young people circulating in the media and over the airwaves. Interview helped to uncover the main difficulties in attracting young people to the radio broadcasting. As well as, possible ways of involving them to radio production and meet their expectations in respect of the radio programs. Broadcast of an interview conducted on the official website of the celebration. From 6 to 8 February 2015 in the foothills of Alatau mountains, in the Tau-Turan educational complex the second Winter School of Journalism and Communication, dedicated to the UN 70th anniversary and World Radio Day, took place. During the opening ceremony official message of Ms Irina Bokova, UNESCO Director-General, has been presented in all six UN official languages. 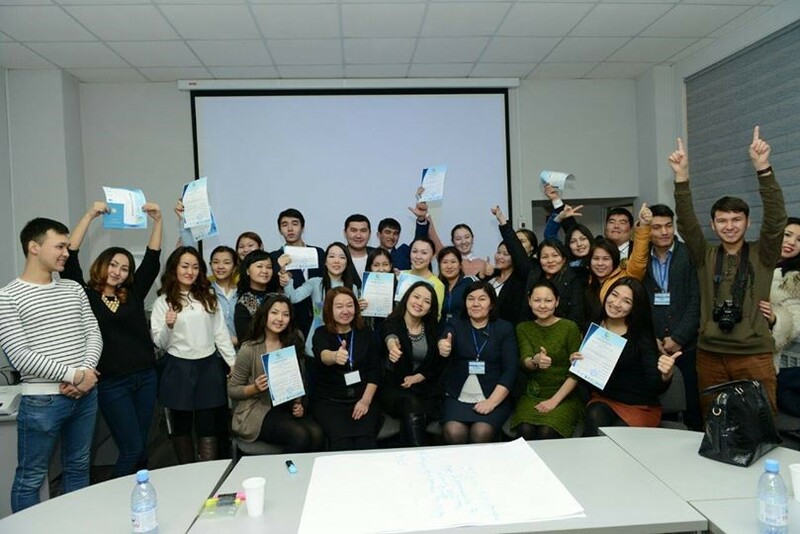 150 journalism students and media professionals from Kazakhstan, Kyrgyzstan, Uzbekistan and Azerbaijan participated in the three-day debates, workshops, trainings and group games. School of Journalism has been organized by Mediasphere Centre for Humanitarian Studies of al-Farabi Kazak National University with the support of UNESCO Almaty Cluster Office, the United Nations Information Office in the Republic of Kazakhstan, Club of Chief-Editors, Kazakh University Publishing House and Turan University. Winter School also contributes to the mission and activities of the United Nations Academic Impact (UNAI)Global Hub on Sustainability hosted by the al-Farabi Kazakh National University. One of the important tasks is support of the role of media in disseminating of knowledge about sustainable development. Media School reflected in the UNESCO World Radio Day global map. Journalism students and Internews Kazakhstan professionals made the presentations of their blog platforms journalism.kz and New reporter.